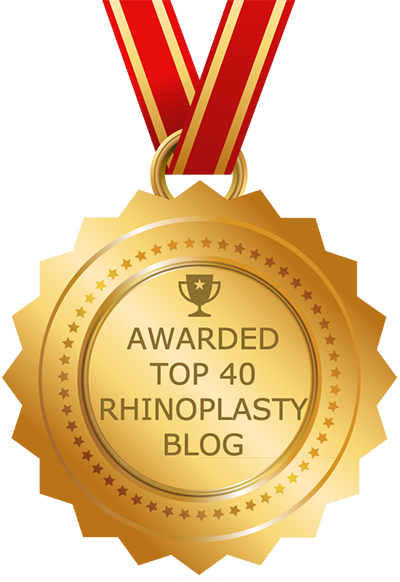 The nose changes slightly as we age, and therefore certain complaints — and certain rhinoplasty goals — are common among older patients. As we age, gravity begins to take hold and the supporting structures of the nose become weaker. The skin around the nose becomes thinner and loses some of its elasticity, which can change the slope of the nose. A person who has suffered a broken nose may need to undergo rhinoplasty to fix it. A broken nose may consist of one or more fractures; the techniques used to correct them will depend on the specific injury type and location, what part of the nose is broken and other factors. In some cases, a patient who has suffered a broken nose may wait too long to have it reset, which can lead to a crooked nose. A crooked nose can usually be corrected by way of a rhinoplasty. A drooping nose, known as nasal ptosis, is one of the problems most frequently addressed through rhinoplasty. Nearly all rhinoplasties involve techniques to correct or maintain appropriate tip rotation. Indications of a drooping nose. When the nasal septum deviates more to one side than the other, the condition is referred to as a deviated septum. Known as a septoplasty, this rhinoplastic procedure is designed to correct the deviation and restore proper airflow through the nose. It is vital that a teen has reached full physical development prior to undergoing nose surgery. Also, rhinoplasty is a complex procedure that does have some risk. As such, teens interested in undergoing the procedure must first obtain permission from a parent or guardian. Those afflicted with skin cancer of the nose often undergo an advanced procedure called Mohs Surgery to remove cancerous tissue. In many cases, this is followed by reconstructive/cosmetic rhinoplasty to restore the nose to its previous shape – or even improve upon the former shape. Many people have a wide nasal base, nasal tip and/or nostrils. There are a number of methods used to reduce the width of the nasal base, tip and nostrils. Collectively, the rhinoplasty techniques used to accomplish this are known as nostril and alar base reduction. They can be performed as part of primary or secondary (revision) nose surgery. Nasal obstruction refers to anything that stops airflow into and out of the nose. Most nasal obstructions are temporary. However, if left untreated they can lead to sleep apnea, breathing problems and/or sinus disease. Nasal obstruction can be caused by a variety of things. When the sinuses are blocked, they are unable to properly drain. This can lead to a host of issues, including infections, headaches, breathing problems, excessive drainage from the nose (rhinorrhea) or into the throat (post-nasal drip), mucous buildup and other problems associated with sinusitis. Endoscopic sinus surgery is a modern procedure to treat sinusitis and related conditions.